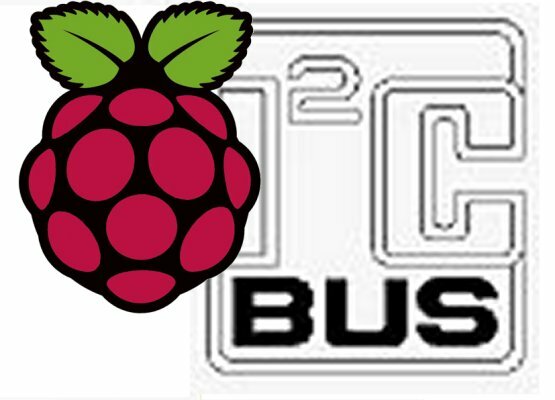 One of the useful interfaces on the Raspberry Pi is the I2C bus. Originally invented by Philips in the 1970s for controlling functions inside consumer electronics, especially TVs, it’s still very handy for connecting up lowish-speed peripherals to computers. Some of the most popular are real time clocks like the MCP7940, amongst many others, and general purpose input-output chips like the venerable PCF8574. 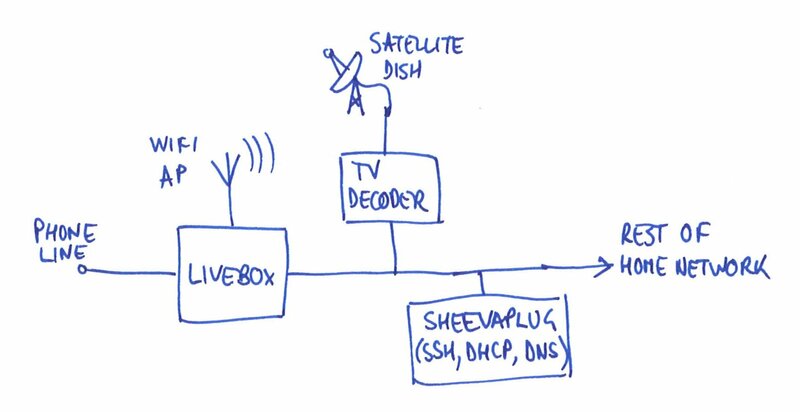 One of its convenient features is that it only involves two wires: SCL (clock) and SDA (data). 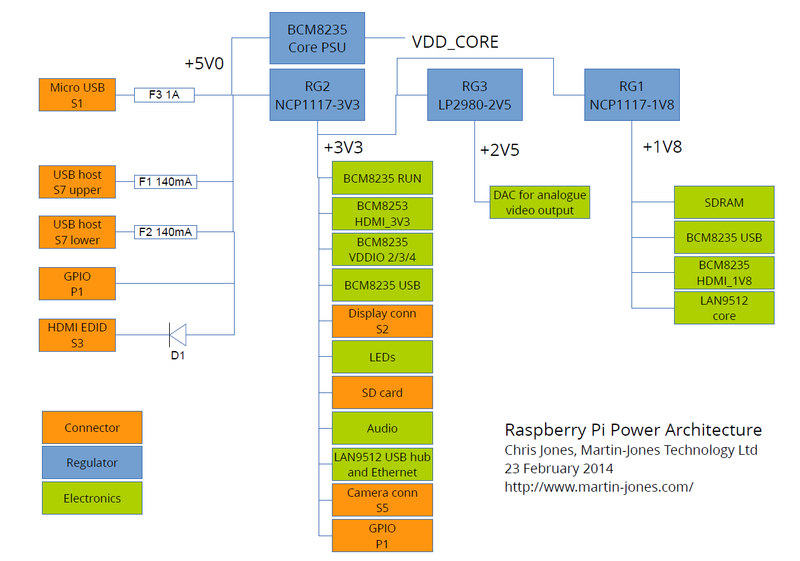 The Raspberry Pi originally exposed one I2C bus on its GPIO connector, P1. It had another I2C bus dedicated to the camera connector, S5. 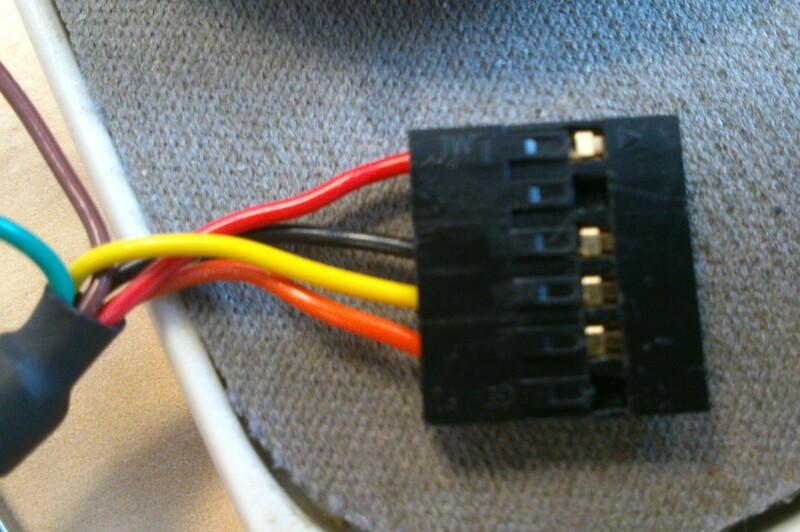 However, with revision 2 of the Raspberry Pi, another connector was added. This was P5, squeezed in next to P1, and it also carried the second I2C bus, making it easier to get at and use. However, for some reason the two I2C buses got swapped over between revision 1 and revision 2. And to add a further layer of complication, the camera connector and P5 are wired to different GPIO pins on the processor, even though they are both logically the same bus. I’ve tried to summarise the situation in the table below. showed nothing at all, and examining pins 3 and 5 of P1 showed no activity. Disappointing. After a bit of digging, it seemed to me that the standard Raspberry Pi Linux kernel configures the processor to use GPIO 0 and 1 as I2C bus 0, and GPIO 2 and 3 as I2C bus 1. 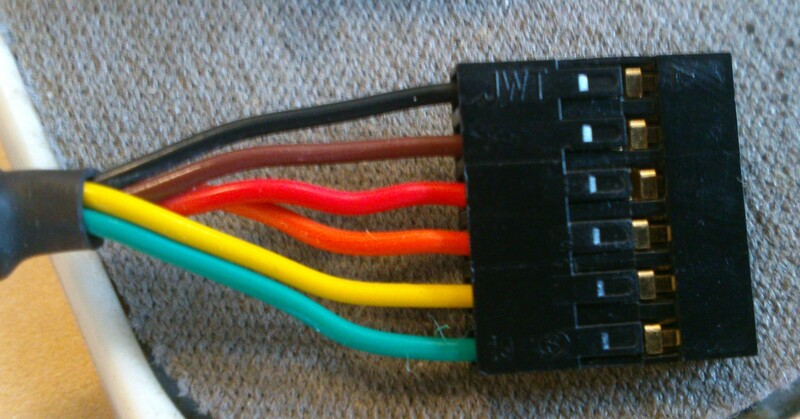 I wanted the bus on P1 to work, so I needed GPIO 28 and 29 to be my bus 0. The BCM2835 processor on the Raspberry Pi, like most modern integrated processors, can have its pins programmed to do various different functions. In this case I needed to disable I2C on GPIO 0 and 1 and enable it on GPIO 28 and 29. To do this I enlisted the help of Mike McCauley’s BCM2835 library. It makes reprogramming the GPIOs fairly straightforward. By the time you read this, there might be a new version of the library, so check on Mike’s site to see what you’re getting. Now I2C bus 0 will be active on P1. Well, it worked for me. Once the code is compiled, of course, you can just run ‘i2c0’ after booting the Pi. I realise that in future this will probably be made obsolete by changing the device tree sent to the Linux kernel at boot time, but for now it’s useful! 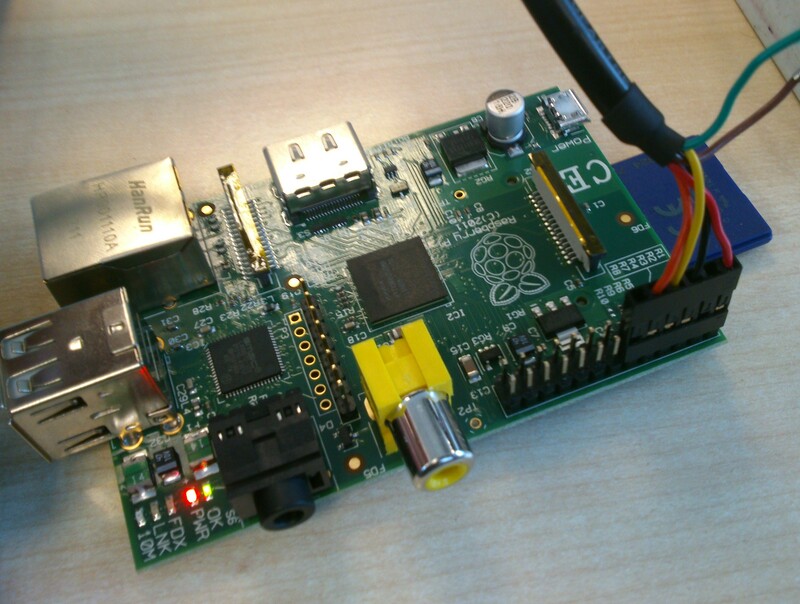 This entry was posted in Raspberry Pi and tagged ARM, electronics, embedded, linux, Raspberry Pi on August 20, 2013 by martinjonestechnology.